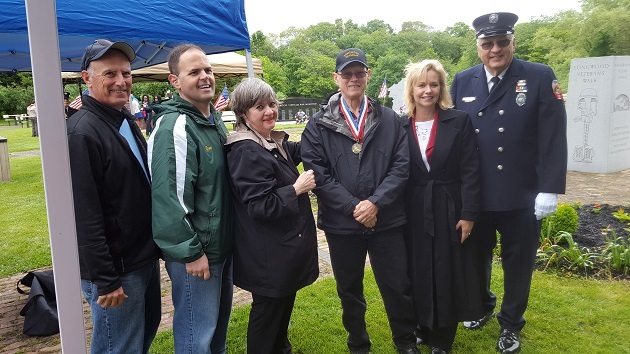 NEW YORK – On Monday, May 29th, Suffolk County Legislator Sarah Anker attended Longwood’s Memorial Day services at the beautiful Bartlett Pond Park in Middle Island. The service was hosted by the Middle Island Civic Association, the Longwood Alliance, and Boy Scout Troop 433. It included song and prayer, remarks by local officials, and a wreath laying ceremony to commemorate the servicemen and women who have sacrificed their lives to protect our freedom. The event was attended by local veterans, family members, fire department volunteers, school board members, local boy scouts, and governmental officials. For more information, please visit the Middle Island Civic Association website at www.middleislandcivic.com. 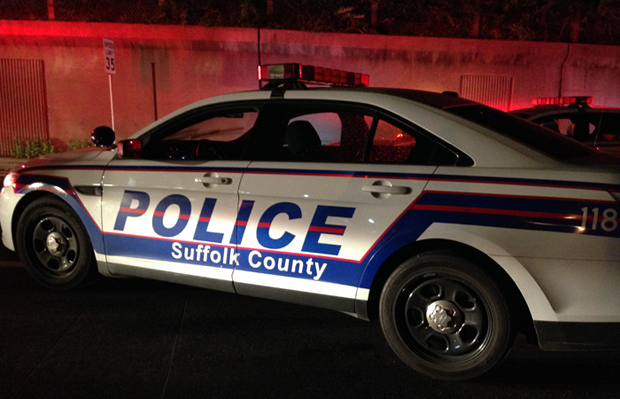 Photo Provided by Suffolk County Legislator Sarah S. Anker. Pictured Above From left to right: Longwood Board of Education members Paul Infranco, Dave Pfister, and Maureen Silvestri, Vietnam Veteran Edward Hines, Legislator Sarah Anker, and Board of Education President Dan Tomaszewski.